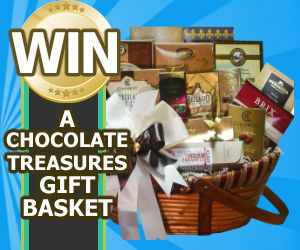 Unfortunately the "Chocolate Treasures Gourmet Food Gift Basket Giveaway" offer is no longer available. When you sign up to receive freebie notifications to your email inbox from A Freebie Empire, you'll also score a free entry into their giveaway for the chance to win a ​Chocolate Treasures Gourmet Food Gift Basket! Drawing will be held on March 1, 2019. Good luck!